Written by pioneering and internationally-renowned specialists in the field, this text provides clinically-orientated information on osteopathy as a treatment for horses. It explains the scientific rationale of how osteopathy works in animals, as well as providing a detailed working guide to the technical skills and procedures you need to know to perform safe and effective osteopathic procedures. Drawing on well established practices for humans this book provides details on the full variety of diagnostic and therapeutic osteopathic procedures that can be used on horses. Full of practical information, it demonstrates how professionals treating equine locomotor problems can adapt different procedures in different clinical settings. Over 350 colour images and detailed step-by-step instructions demonstrate the procedures and practice of osteopathy. Covers treatment both with and without sedation and general anaesthetic. 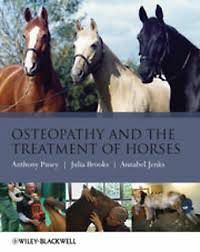 This comprehensive text is written for students and practitioners of osteopathy with an interest in treating horses. It will also be useful to other allied therapists, and to veterinary practitioners who want to know more about the treatment of musculoskeletal problems.